This month’s featured movie is the sci-fi adventure Interstellar, a hard-hitting space drama that’s torn between the efforts to save humanity and one man’s fight to stay connected to his family. 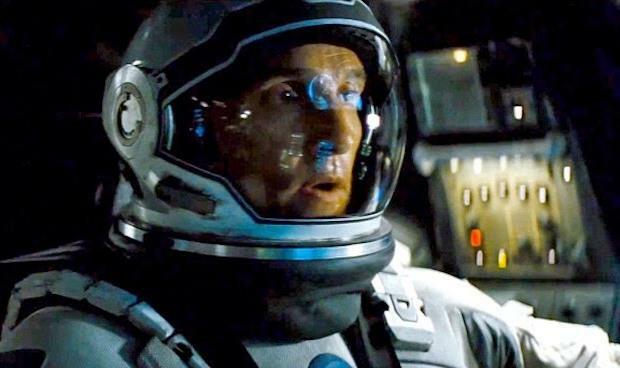 If you like movies similar to Inception, where there is plenty of brain bending to make the story work, then Interstellar is right up your alley. It’s not as far out as Cloud Atlas, so don’t worry – but there are a few 2001: Space Odyssey type elements floating around that make it a little strange. Matthew McConaughey plays Cooper, a pilot turned corn farmer in Earth’s last desperate attempt to continue to feed itself. Humanity is indeed on the brink as blight kills off crops, much like the great potato famine. It is clear that the situation is not going to improve and so an undercover NASA program is tasked to find a way of preserving the human race. Their solution is to find a new world to colonize. Sounds simple enough, right? Wrong. The nearest habitable worlds are light years away and any efforts to find them are futile simply because of the amount of time it would take. 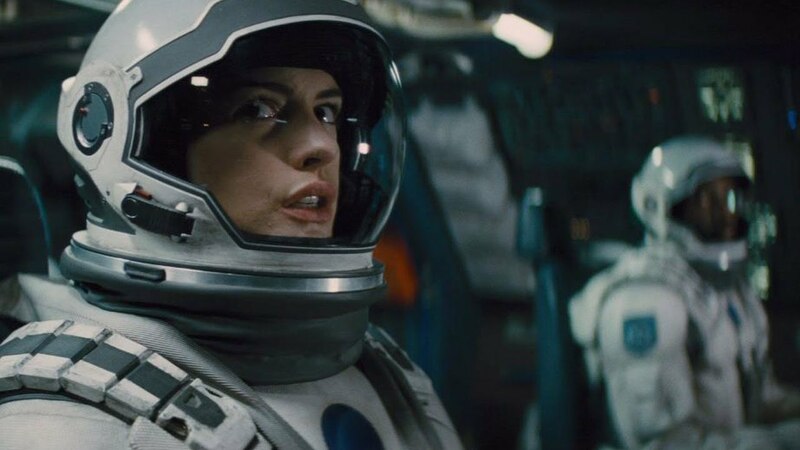 Interstellar had a whole team of astrophysicists figure out how it could be done and then used their calculations to generate the imagery in the film, cool eh? In Interstellar, there is a singularity located conveniently within our solar system that leads to a different system with several potential habitable worlds. However, due to a bunch of theory of relativity issues, any landfall the explorers make results in epic time loss for those on earth and also anyone who remains on the ship. This results in a very fast paced film as Cooper fights for every second lost in order to reunite with his daughter. It’s the last third of the film that gets a little screwy. The explorers find themselves in a hopeless situation. There is no way to return important data back to earth for NASA’s colony ship to be able to break free from the surface (another plot strand…) and there is no way for the explorers to survive on the current alien world. They have to decide if they are going to sacrifice themselves to save humanity or save themselves but doom civilization. The only way to get the needed data back is to send a probe into the black hole. Cooper and Amelia (played by Anne Hathaway) must separate to give the greatest chance at success. Amelia’s ship has colonizing equipment to set up another home world and can ensure the survival of the species should the worst outcome happen, so her success is critical. Cooper takes the other part of the ship and heads into the blackhole. He ends in a time bent fifth dimentional tesseract that enables him to pass on the needed information to NASA. I said it got trippy – this is the epicenter of trippy here and why I reference Space Odyssey. Turns out that all the strange phenomenon that they had seen in the beginning of the film was actually Cooper in the fifth dimension trying to communicate with his daughter in the past. 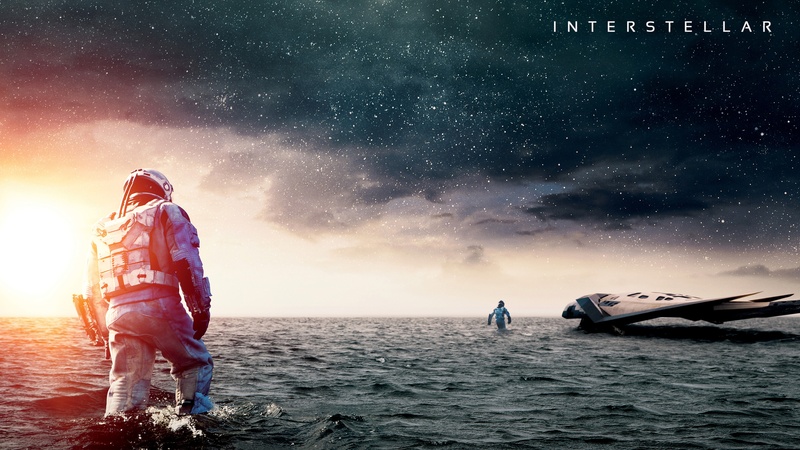 Do I recommend Interstellar? Yes, with caution. This is a film meant for people who love to think in an abstract and twisted way. Those who just like a good story that doesn’t demand much of the watcher will find themselves lost and confused quickly. If you like time travel paradoxes, you’ll like it. If you don’t, then I wouldn’t recommend it.